The new Ferrari FF (bottom) is being presented for the first time in Asia on the Pininfarina stand at Auto Shanghai. 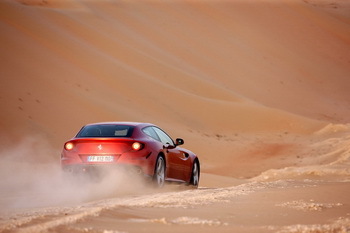 This is the best performing and most versatile car in the history of Ferrari, not to mention the first car from the Prancing Horse stable to have four-wheel drive. The FF, an acronym for Ferrari Four (four seater – four-wheel drive), lays down a completely new concept of sporting Gran Turismo, reconciling extremely high performance with great usability, refined elegance and exceptional comfort. Designed by Pininfarina, its forms and volumes establish perfect harmony between its sporting soul and extraordinary versatility. Alongside the FF is the Maserati GranTurismo (top), one of the three models in the Maserati range – saloon coupé, cabriolet – all Pininfarina designs: Quattroporte, GranTurismo, GranCabrio. With its own stand at Auto Shanghai for the very first time, Pininfarina is showcasing its design, engineering and sustainable mobility abilities and its presence in China in the form of partnerships with clients including Brilliance, Chery and JAC. Shorn of its contract manufacturing arm, the ailing historic Turinese design and engineering company is up for sale and in its most recent financial report even its directors hesitated to say it was a viable concern, however, in China its business appears to be brisk. At Auto Shanghai 2011, the excellence which has distinguished Pininfarina design for more than 80 years is represented by the new Ferrari FF and the Maserati GranTurismo, symbols of prestigious collaboration agreements with brands that are deeply rooted and popular in the Chinese market. Pininfarina’s technical competencies and commitment to sustainable mobility are represented by a mechanised, electric Vehicle Demonstrator developed within the Nido workshop project as an engineering evolution of the concept that led to the birth of a first working electric prototype, the Nido EV. In this edition of Auto Shanghai, Pininfarina is also celebrating the continuation of its long-standing partnership with Brilliance, which over the years has led to the creation of a number of models now displayed on the Brilliance stand. Of these, the Brilliance Junjie restyling, designed and engineered by Pininfarina in saloon and station wagon versions, based on the previous versions designed by Pininfarina. On the JAC (Anhui Jianghaui Automobile Co. Ltd.) stand are four Pininfarina designed and developed vehicles: the B-Class saloon, the B-MPV MPV, the A107 hatchback and the A108 saloon, the first Chinese car to win the prestigious China New-vehicle APEAL (Automotive, Performance, Execution and Layout) Award assigned by J.D. Power Asia Pacific. Of the other Pininfarina designed models recently introduced to the Chinese market, on display at the show is the Chery A3, in hatchback and saloon versions, which has won awards such as the China's Annual Best Medium-Size Car 2009 and the Annual Expectation Auto Model. Pininfarina was the first Italian design house to supply styling and engineering services to Chinese car manufacturers, and this was back in 1996. Since then, Pininfarina has extended its range of activities by developing partnerships with manufacturers such as AviChina (Hafei), Chery, Changfeng, Brilliance and JAC, for which highly successful vehicles have been designed. The Beijing Motor Show of 2010, for example, displayed as many as seven premium models designed and engineered by Pininfarina for Brilliance, JAC and Chery. Business with Chinese manufacturers which already generates a significant part of Pininfarina’s revenues, will grow even more in the years to come with the increase in its activities in the sectors of design (styling and engineering) and sustainable mobility. The constant growth in the Chinese market led Pininfarina to open offices in Beijing back in the Nineties, followed last year by the opening of a Product Development Centre in the district of Shanghai. Pininfarina Automotive Engineering (Shanghai) Co. Ltd. will enable Pininfarina to develop part of its engineering activities for Chinese OEMs close by and, in some cases, together with them so as to better respond to the growing demands of that market. Pininfarina and the Chinese academic world enjoy excellent relations. Two preliminary agreements, finalised in 2010, envisage cooperation with Tsinghua University of Beijing and the Tong Ji University of Shanghai for joint activities of personnel training and research in fields ranging from vehicle design architecture to the virtual and physical validation of prototypes, in addition to conferences, workshops and internship projects aimed at cross-fertilisation. Pininfarina’s commitment to China is such that it has also been recognised by the Italy-China Foundation which, in 2010, awarded the Company the Best Testimony to Made in Italy Design award, one of the most prestigious of the China Awards, the fifth edition of the ceremony that awards prizes to companies, institutions and personalities who have taken best advantage of the opportunities offered by economic and cultural relations between Italy and China. The FF is being presented for the first time in Asia on the Pininfarina stand at Auto Shanghai. This is the best performing and most versatile car in the history of Ferrari, not to mention the first car from the Prancing Horse stable to have four-wheel drive. The FF, an acronym for Ferrari Four (four seater – four-wheel drive), lays down a completely new concept of sporting Gran Turismo, reconciling extremely high performance with great usability, refined elegance and exceptional comfort. Designed by Pininfarina, its forms and volumes establish perfect harmony between its sporting soul and extraordinary versatility. Alongside the FF is the Maserati GranTurismo, one of the three models in the Maserati range – saloon coupé, cabriolet – all Pininfarina designs: Quattroporte, GranTurismo, GranCabrio. 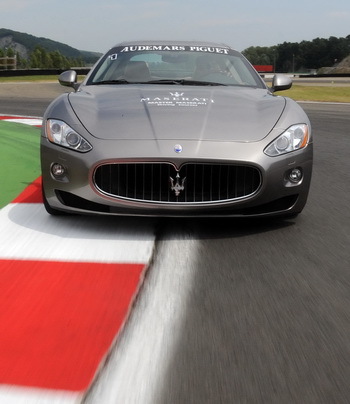 Acclaimed as one of the most beautiful cars of its generation, the GranTurismo is also the car that has rewritten the rules of comfortable, fast sports cars that can host four adults. Thanks to its elegant Pininfarina-signed lines, the GranTurismo has carried off a number of awards including Best in Show, assigned by AutoWeek and the Most Beautiful Award from the readers of Auto, Motor und Sport. The company's commitment to sustainable mobility is also seen in the display of a mechanised, Electric Vehicle Demonstrator developed within the Nido workshop project which has already led to the birth of a first working electric prototype, the Nido EV, presented in 2010 on the occasion of the company’s 80th birthday. The demonstrator thus underlines the engineering know-how acquired by Pininfarina in many years of research applied to concrete projects, particularly to the development of hybrid, electric vehicles. It is in fact a high efficiency modular structure with aluminium spaceframe using composites such as carbon fibres and aramid honeycomb. Purpose: obtain a multi-material, light, modular vehicle architecture from the drive point of view too.